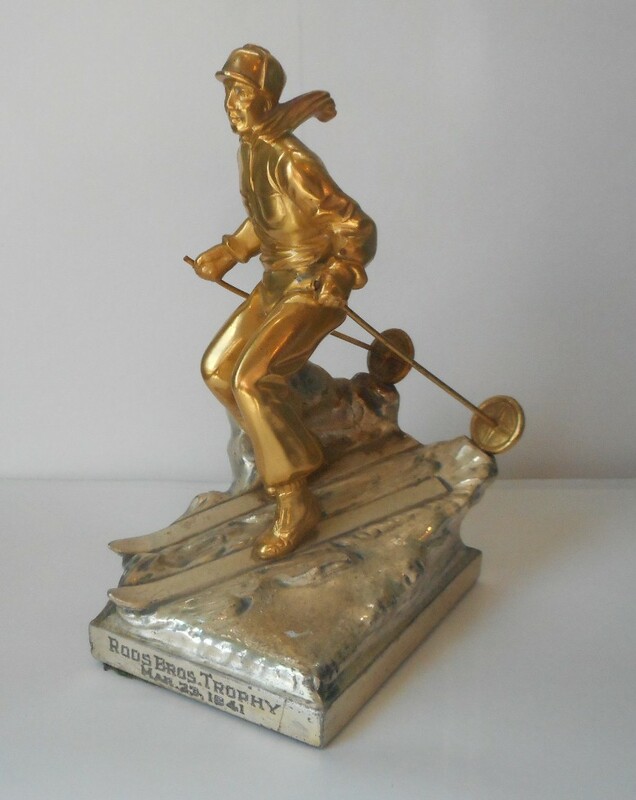 Great retro look on this gold and silver finished Ski Trophy. A man skiing in a varied terrain. 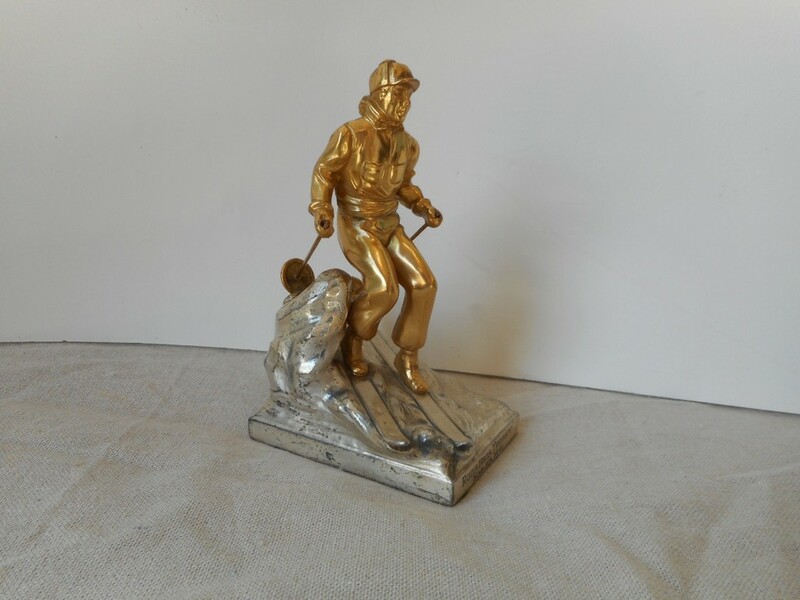 Retro ski items are hard to find, this is a cool piece. 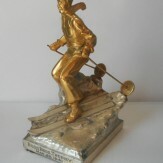 Measures 6.5" tall. Base is 3" x 4".